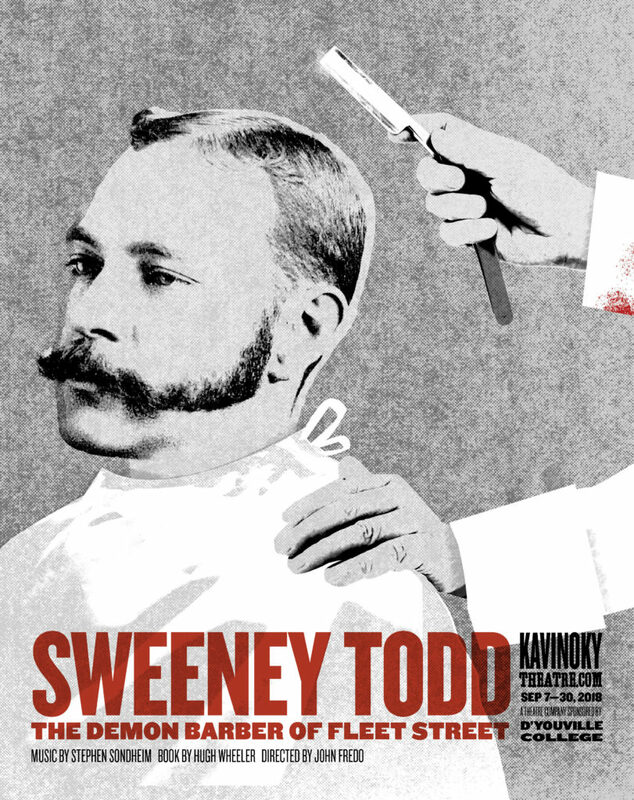 With 8 Tonys under its belt, Stephen Sondheim and Hugh Wheeler’s Sweeney Todd has become a bloody, dramatic, yet funny musical theatre classic. The infamous 19th century tale of the revenge-seeking demon Barber of Fleet Street has shocked and awed audiences across the world. Director John Fredo brings together a cast featuring Kavinoky favorites from last season’s smash hit Mamma Mia! — Matt Witten as Sweeney is paired again with Loraine O’Donnell as Mrs. Lovett, with Peter Palmisano also starring as Judge Turpin. Connect with the Kavinoky to see behind-the-scenes photos and get the latest news.